Stencils for old Marine Ammo boxes. The material used is 7.5mil mylar which is reusable. The size of the stencils are 8.5 x 11 inches. 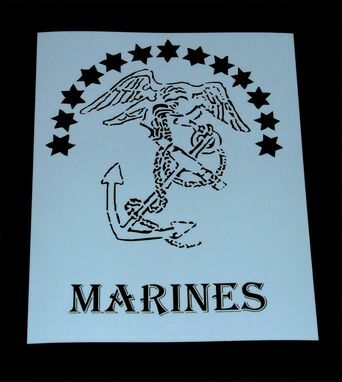 Each will be used to paint the image and text on Marine type ammo boxes. The image and text was chosen to replicate the original style. 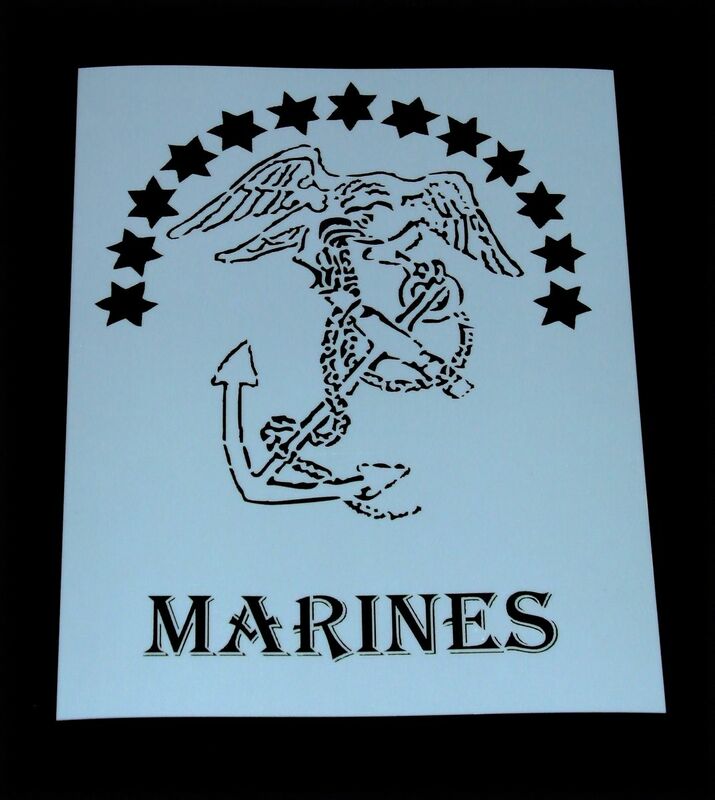 Your customized image and text can be made into a stencil. 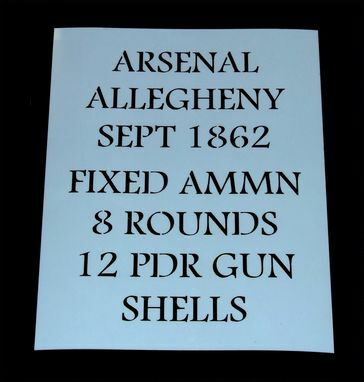 Approximate cost is for both stencils.